Passengers were forced to make detours this morning after a Grand Central train was cancelled due to a broken windscreen. 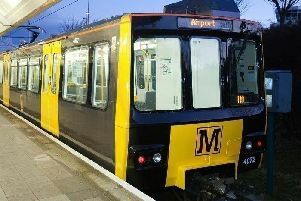 The rail company, which runs direct services from Sunderland to London via Hartlepool, Eaglescliffe, Northallerton, Thirsk and York, was forced to cancel the 8.42am service and issue alternative travel arrangements to passengers. Grand Central said "more trains than usual" were in need of repairs, but did not give any further details as to how the windscreen was broken.